Together with The Great Courses, Smithsonian offers a series of in-depth audio and video lectures on favorite travel destinations worldwide. Each course provides engaging, illustrated talks featuring deep insights into the arts, history, and culture of the destination. View our available courses below! Japan’s extraordinary 2,000-year-old civilization has grown through periods of engagement and isolation into a society responsible for immeasurable influences on the rest of the world. 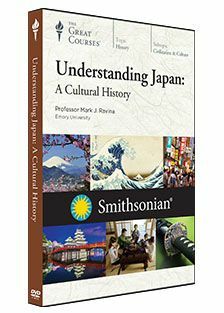 Discover what makes Japan so distinctive in Understanding Japan: A Cultural History. These 24 fascinating lectures offer an unforgettable tour of Japanese history, life, art, and culture. Italy is the quintessential location for anyone interested in art, culture, and history. This course brings you the exceptional gems and daily life of Italy’s past and present in a visually stunning tour. Explore Rome, Florence, and Venice—and take side trips to Pompeii, Perugia, and more. 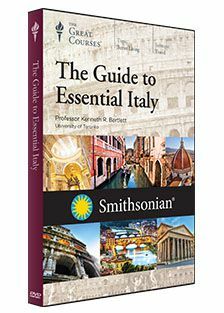 Smithsonian Journeys Expert Valerie Hedquist provides insider tips as you immerse yourself in Italian culture.